Black-capped Vireo at Wichita Mountains Wlildlife Refuge, August 25, 2014, by gman79. When I started birding in Michigan in 1975, I spent hours poring over the pages of my Golden field guide, mesmerized by the gallery of species I’d never before imagined lived right here in America. How could anything as brilliant and colorful as a Painted Bunting live in the day-to-day world? Might the illustrator, Arthur Singer, have exaggerated that improbably long tail in the drawing of the Scissor-tailed Flycatcher? Another bird I was fixated on was North America’s tiniest vireo, the Black-capped Vireo. Most of the vireos seemed rather drab, but this one had an endearingly oversized head, striking red eyes, and bold white spectacles accentuated by the blackness of the surrounding feathers. Surely that drawing had been exaggerated, too. When I saw my first Painted Buntings and Scissor-tailed Flycatchers, the living birds fully lived up to their illustrations. 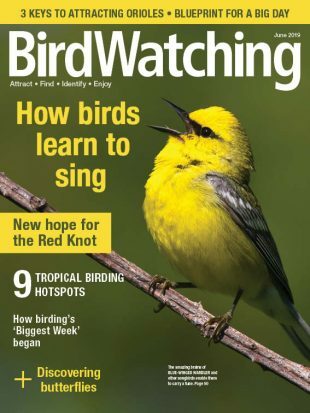 When I finally saw my lifer Black-capped Vireo, in May 1991 in southwestern Oklahoma at the Wichita Mountains Wildlife Refuge, that reality actually exceeded my fondest hopes. I arrived at the refuge after dark and, filled with eager expectation, fell asleep in the Doris Campground to a chorus of Chuck-will’s-widows. Nothing in my dreams matched the beauty that I would soon behold. It was still dark when I headed to the headquarters to find out where to look for a Black-capped Vireo. I reached the parking lot at dawn and was stunned to see a Painted Bunting glowing in the first beam of sunlight. A high-pitched, sharp phee-phew brought my attention to five Mississippi Kites circling above. One dropped to a tree to mate with a perched kite I hadn’t noticed until that moment. A Blue-gray Gnatcatcher scolded them, and I couldn’t tell which was more thrilling: seeing the kites mating or watching this spunky mite challenging them. If all this weren’t enough, in flew a Scissor-tailed Flycatcher, its deep salmon-pink wing linings glowing, its improbable tail streaming behind. A Summer Tanager broke into song not far from where the bunting still sang. I can’t remember whether I fell in love with the Wichita Mountains right then or whether it was an hour later, when I finally beheld my first vireo, cradled in the hands of the man who at the time was the foremost authority on Oklahoma’s Black-capped Vireos, Joe Grzybowski. The bird was tinier and more beautiful than I’d imagined. The tender way Joe held it made me feel that if anyone could help restore its populations, he could. The vireo had been listed as a federally endangered species just four years before, in 1987. Its historic range extended south from south-central Kansas through central Oklahoma and central Texas to the Edwards Plateau, and west and south to Big Bend National Park and southeastward into Coahuila and several more Mexican states. It winters on the Pacific Slope in Mexico, but much remains to be learned about its winter range and habits. By the time the vireo was listed, it had already disappeared from much of its historical range and was declining dangerously where it still survived. 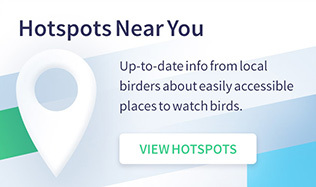 The species had only two known population centers with appreciable numbers on public lands: in the Fort Hood area of Texas and in the Wichita Mountains, which include the Wichita Mountains Wildlife Refuge and adjoining Fort Sill Military Reservation. Joe started his work in 1984. By 1987-88, he and others estimated the Wichita Mountains population at 50-70 pairs. Intensive management, including cowbird control and burning to reduce junipers and restore prairie habitat, made a huge difference. As of 2010, more than 5,000 breeding pairs are in the Wichita Mountains alone — possibly near or over 6,000 pairs. Joe has kept track of individual vireos by giving them unique combinations of colored leg bands and then following them in the field. In this way, he monitors which birds hold which territories. He has also learned the various contexts in which different vocalizations are made. 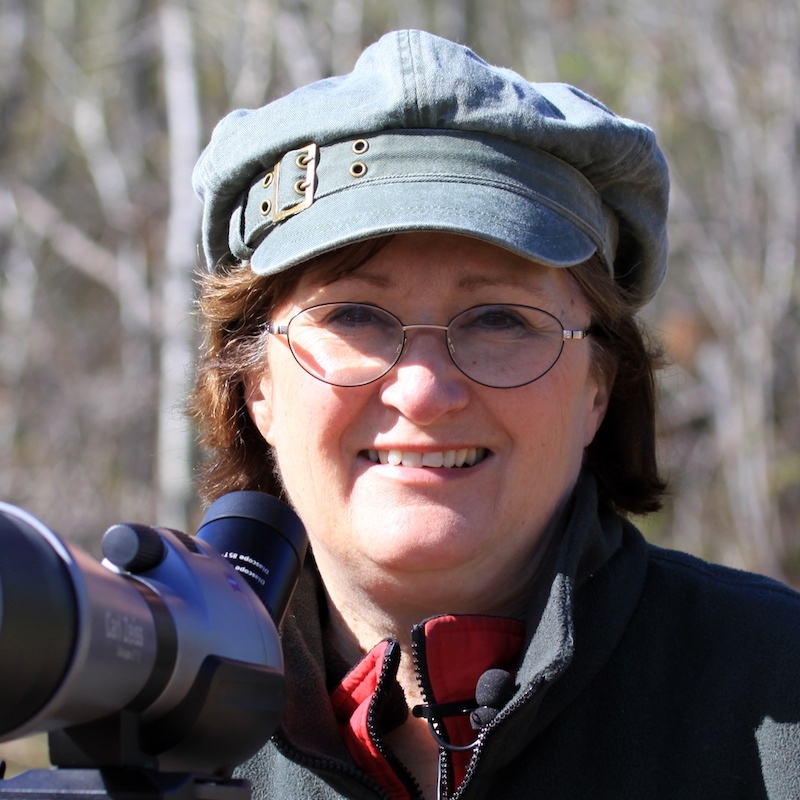 By mapping the territories and recognizing key sounds and behaviors, he has found nests to assess vireo production and to toss out cowbird eggs — or, on some dreadful days, to discover vireo eggs or babies smothered and crushed under a huge cowbird nestling. The male he was holding when I first met him had been banded three years before. Joe pointed to a distant hill where the bird had established a territory and tried to attract a mate that first year. The following year, the bird settled into a new territory, and here he was again. Joe hadn’t meant to catch him in his mist-net this time — he was trying to trap the bird’s as-yet-unbanded mate. So the moment after I saw the vireo in hand, Joe released him. Joe is a population biologist with as deep an understanding of statistics as of individual vireos and their daily lives. He’s affiliated with both the College of Mathematics and Science at the University of Central Oklahoma in Edmond and the Sam Noble Oklahoma Museum of Natural History at the University of Oklahoma in Norman. That spring, he was doing fieldwork and finishing up writing the Black-capped Vireo Recovery Plan for the U.S. Fish and Wildlife Service. The tenderness with which he held that individual and then set it free, a delighted grin lighting his face the whole time, placed him squarely at the intersection of passion and science. I spent that morning tagging along as Joe searched for other vireo territories to record leg-band colors and find nests. Where the prairie landscape was healthy, grasses were lush green and flowers were in full bloom. Huge blossoms of deep pinks, bright reds, pumpkin orange, and purest white were everywhere. The rocks were festooned with colorful lichens, sometimes topped with a brilliant aqua-blue collared lizard sunning itself. Where the prairie was unhealthy, thick stands of junipers rose up among dull green and even brown grasses. As he has year after year, Joe scrambled up rocks as nimbly as a mountain goat, focusing on singing vireos as far as a hundred yards away while pointing out myriad other birds, snakes, and lizards. His dedication has been a factor in the improving prospects for Black-capped Vireos but, as he’s quick to point out, was just part of the teamwork on the refuge and at Fort Sill. He attributes much of the success of vireo management to what he terms the “friendly bureaucracy and support” the project has received from people like Wichita Mountains refuge biologist Joe Kimball, Fort Sill biologist Toni Hodgkins, refuge managers Steve Smith and Sam Waldstein, Fort Sill’s head of natural resources Glenn Wampler, and current refuge biologist Walter Munsterman. Joe’s long-standing field associate Vic Fazio, who is now the project’s co-principal investigator, was deeply involved in the project almost from the start, too. 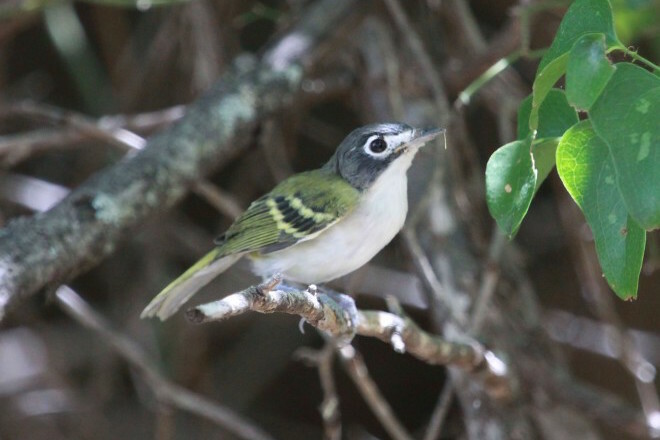 Unlike all other vireos, the Black-capped Vireo is sexually dichromatic. Face, cap, and nape are gleaming black on adult males but mostly dark gray on females. 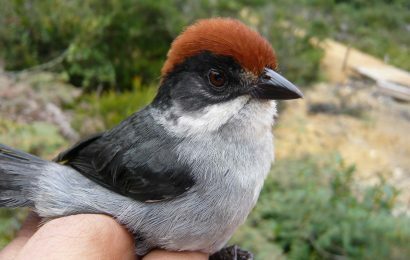 Also unlike their relatives, males show delayed plumage maturation; year-old males are recognizable by their gray nape. It also takes a practiced ear to appreciate the Black-capped Vireo’s lively songs, the repertoire an order of magnitude larger than that of any other North American vireo. 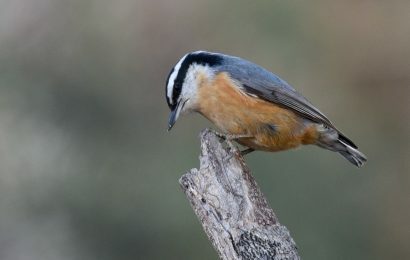 Indeed, when I first encountered the species, after studying recordings and priding myself on my listening skills, I didn’t even notice my first one singing at close range until Joe pointed it out. As I became more adept at picking out the song myself, I fell in love with the sputtery, snappy tune. I returned to the Wichita Mountains in early May 2007 and accompanied Joe in the field on two days — once when he was monitoring cowbirds and once when he was searching for newly returned vireos. I’m not experienced at moving about in that kind of terrain, and I was 16 years older than the last time I was there. Joe presumably was 16 years older, too, but I’d never have guessed it, watching him zip up and down the rocky slopes just as I remembered. I suppose I was rather like a mountain goat too, in the sense that I had to scramble up more than a few rocks on all fours. But Joe waited with interesting anecdotes, not letting on that he was giving me a chance to catch my breath. We covered one mountain and 11 vireo territories in what seemed to me like a full day. But on a normal day, Joe admitted that he covers three times that. I was well aware that the vireo was vulnerable to cowbird parasitism but found that confusing. I knew that eastern songbirds weren’t exposed to cowbird parasitism until bison had been extirpated, forests cleared, and cattle introduced. Small wonder a species like Kirtland’s Warbler, which hadn’t dealt with cowbirds until the late 1800s, didn’t have mechanisms to deal with them. Bison, however, had ranged in the Wichita Mountains for millennia until they were wiped out in the 1800s. (The herd that lives year-round in the Wichita Mountains Wildlife Refuge was re-­introduced in 1907.) How could a bird that had lived for so long in the heart of bison country not have developed any defenses against cowbirds? 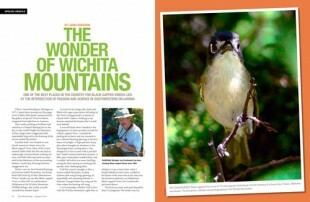 The Black-capped Vireo is doing very well in two areas of the Wichita Mountains in southwestern Oklahoma: the 59,020-acre Wichita Mountains Wildlife Refuge and the adjoining 93,000-acre Fort Sill Military Reservation. Fort Sill: Much of the land at Fort Sill is restricted because of military operations, and in both places some breeding areas are closed to the public. Wichita Mountains Wildlife Refuge: The public areas of the refuge include splendid places to observe birds, prairie dogs, bison, diamondback rattlesnakes, and a wide variety of other wildlife and plants. Vireos have been increasing on the refuge, and many are now breeding outside the restricted areas. Listen for them in scrub habitat. When to go: From mid-May through early June is the best time to visit if you want to see and hear vireos while enjoying the most pleasant weather and the most ­beautiful wildflowers. To figure that out, I had to think more carefully about bison. Historically, American bison were nomadic, wandering southward in autumn to avoid the harsh winters of the northern plains and wandering northward in spring to escape the oppressive heat and frequent droughts of the southern plains. Only rarely would bison or cowbirds ever have appeared naturally within the range of Black-capped Vireos during the birds’ breeding season. Now wherever wild bison remain, their movements are restricted in order to keep them from wandering across highways, and wherever they remain, cowbirds join them. The vireo’s vulnerability to cowbirds is exceptional. Most northern songbirds with open-cup nests incubate their eggs for about 10-14 days. The incubation period of Brown-headed Cowbirds is only 10-12 days, so cowbirds usually hatch before their host eggs. Black-capped Vireos incubate for 14-17 days; a cowbird may have a week’s head-start and already be a huge bruiser before the vireos hatch. Cowbird nestlings aren’t aggressive, but they’re big enough to smother hatchling vireos. Adult female cowbirds can be extremely aggressive: in his account about the vireo in the reference series Birds of North America (No. 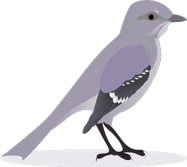 181), Joe Grzybowski mentions one cowbird killing a seven-day-old vireo chick and laying her egg atop the carcass. When researchers find a cowbird egg in a vireo nest, they remove it, but at that point, the nest’s potential productivity may have already dropped by a quarter or a third because female cowbirds so often remove one of the host’s eggs before laying their own. Cowbirds leave the nest at about 8-13 days and remain dependent on the host parents for another week or two. By the time the cowbird finally leaves, it can be too late in the season for the vireos to renest. Cowbirds have been trapped extensively in the Wichita Mountains since the late 1980s. At least several hundred are removed every year. While only a tiny fraction of female vireos fledge two broods a year in areas with cowbirds, when cowbird parasitism levels were reduced to 3 percent or less, as many as 10 percent (occasionally up to 25 percent) of female vireos successfully fledged two broods a season. Meanwhile, in one remnant population in Caddo County, Oklahoma, from 1984 to 1989, 14 of 15 observed nests in areas untrapped for cowbirds were parasitized. The entire population is now believed to be extirpated. In the Wichita Mountains, the benefits of cowbird control are not limited to vireos. In 2007, as when I first visited in 1991, I was astounded by the abundance of Summer Tanagers, Painted Buntings, Blue-gray Gnatcatchers, and other songbirds. Sadly, most land-use practices in the United States directly benefit cowbirds, so every year they pose a renewed threat. Despite the trapping on the refuge, I still saw several on my 2007 visit. So continued trapping is imperative if vireos are to continue increasing. Fire suppression is another dire threat to Black-capped Vireos. In 2007, the prairie was ablaze with flowers, the grass rich green. That is, in most areas it was. In a few areas, the grass was brown and flowers were few. It seemed strange, considering that the entire area had received plenty of rainfall, until I learned that the brown sections were areas that hadn’t burned in several years. As prairie grasses grow older, they become drier and less nutritious for bison. At the same time, more and more sod — a thick mass of decaying prairie grass — builds up, squeezing out other herbaceous plants. And in vireo habitat, junipers invade, and other woody plants grow denser and taller without periodic burning, making the habitat far less suitable for vireos. Fire also takes out a lot of snakes, and burning the junipers makes the habitat less attractive to squirrels, so there are probably also fewer nest predators. Thanks to intensive management, vireos were easy for me to find in the Wichita Mountains Wildlife Refuge in 2007. If you recognize their scrubby habitat, you can easily hear them even from roadsides from mid- or late May until early or mid-July. If by the dawn’s early light you can’t tear yourself from Scissor-tailed Flycatchers, Painted Buntings, and Mississippi Kites, you’ll have plenty of time to see vireos later in the day, because they continue to sing long after other birds have quieted down. I found my most cooperative one — a bird that allowed me to take a few marginal but treasured photos and provided over a minute of good singing to record — at midday at a parking lot near a popular fishing area. Despite the success land managers have had with vireos in the Wichita Mountains and some sites in Texas, pockets of vireos outside such places have mostly died out. Joe shared some of his research about difficulties encountered managing remnant populations in Blaine County, Oklahoma, where only 7-14 pairs remain. When a population dwindles to just a handful of birds, the potential for random events wiping out the entire group rises dramatically. And it’s impossible to round up the resources to provide the same level and consistency of protection for a tiny population as can be done in areas where the likelihood of success is higher. So although Black-capped Vireos are increasing in the Wichita Mountains, their overall Oklahoma range may continue to shrink. 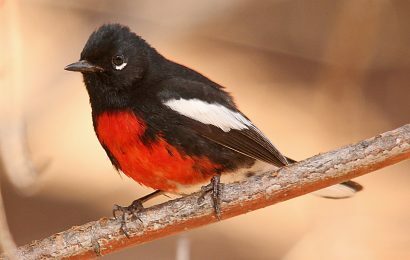 Sadly, few birders have the opportunity to spend much time with this splendid bird in its gorgeous Oklahoma habitat. Many head to the Edwards Plateau in Texas in order to see both it and another endangered species, the Golden-cheeked Warbler, in one trip. I myself didn’t venture back into vireo habitat for 16 years after I’d seen my first, despite falling in love with the species and the Wichita Mountains that magical day in 1991. But thanks to the hard work of refuge managers, field technicians, and researchers such as Joe Grzybowski, the vireo is now much easier not just to see but to enjoy, along with other wonderful birds that have benefited from the same practices that brought the Black-capped Vireo back from the edge of extinction.